Suffolk Naturalist: To the bat mobile! Ok, many of you will not know that I'm a registered bat carer with the Bat Conservation Trust and the Mid Anglian Bat Group (something close to my heart) www.midanglianbatgroup.org . This basically involves rescuing injured or grounded bats and rehabilitating them for release back into the wild. So, today I get my first bat call of the year. 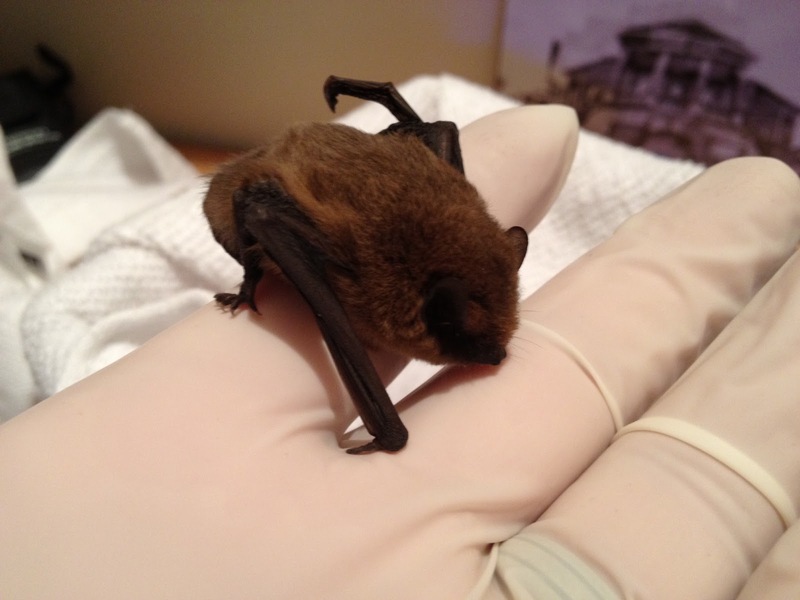 A woman has found a bat in her house with no idea of how it got there. As soon as I get out of work, I drive up to the ladies house to collect said bat. 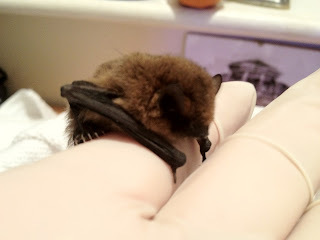 It's a little Common pipistrelle, our most popular bat. It only weighs 3-8gms but needs to eat the equivalent of around 3000 gnats A NIGHT! That's some appetite. This little fellow seems to have been a bit confused by the recent mild weather we're having and has been swiped by a cat, tearing its membrane on its left wing. This will heal, but it will take an age and plenty of rest so it looks like the little fellow will be with me for a while. So, it is a wild animal and it does make it to the list at number 54. I will keep you posted as to his progress along with the Purple Hairstreaks, I'll just have to make sure I keep them apart.